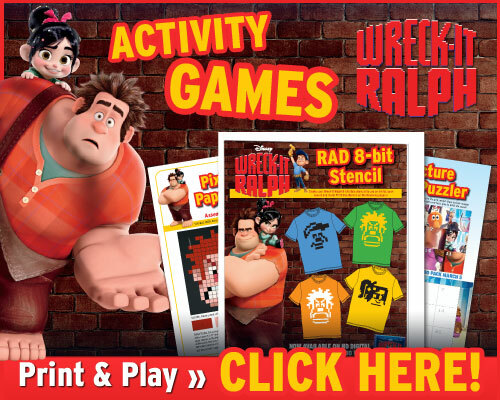 In anticipation of Disney's WRECK-IT RALPH releasing on Blu-ray Combo Pack on Tuesday, March 5th, turn your world into a classic arcade game this weekend with these fun 8-Bit projects! Use the printable stencils to jazz up everything from clothes to book covers! Then break out the scissors for a Pixilated Paper Craft and a Picture Puzzler featuring all of your favorite characters!